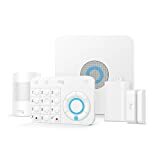 With all the DIY and smart home security systems flooding the market in 2018, making the switch to a more advanced system for less money can be tempting. However, cancelling a current security contract can be a headache, and ADT is known as one of the companies that might make severing ties with them difficult. Make sure you know what you are getting yourself into before and after dealing with this company. With all the ways to communicate these days including online chat and texting, customers probably wonder why they would have to use the phone to cancel any service anymore. However, security companies by nature are protective, which makes sense that they might want their customers to call instead of cancelling online. No security equipment provider or home alarm monitoring company would want to take chances. Otherwise, a security contract could happen by mistake and burglars could have free reign of a home. This is one reason customers may have to call ADT to cancel the contract. This is by and far the most efficient way to discontinue the security relationship with this company. If being on the phone for what could be about an hour does not sound like how you want to spend your lunch break, you do have an alternative. You could instead mail ADT a registered letter. It also is important when cancelling by mail to get proof of delivery and make a copy of your cancellation letter for your records! This should help protect you in the event you are later accused of breaching your ADT contract. If you are happy with the service you received from ADT, then by all means keep the service. However, you do have the option to cancel as long as you keep in mind the consequences. Hopefully, you have already studied the fine print of your contract before ever signing up for ADT service. This will lead to less surprises in the event you do decide to cancel. Now, as far as cancelling, you probably should consider it if the system you have installed is not working the way it should. Furthermore, if you are within the period in which cancellation without penalty is possible, you might want to stop service with ADT if the system you are trying to install is too complicated for you to use. Moreover, receiving poor customer service when you need help the most might be another reason to cancel your ADT contract. With that in mind, Protect America offers numerous plans that will meet your security needs. This includes quick responses and communications with proper authorities during emergencies. We also provide home automation, live and recorded video surveillance, and much more. Request a free quote from Protect America today to make sure your home and family is protected.